A new Franco Manca restaurant has just opened in Richmond. WDC was invited, with around 20 other influencers, to the soft launch. There would be dinner, wine tasting and a pizza masterclass. Our fellow networkers included other food bloggers, local online news companies, Radio Jackie, and even a rep from the local council. We were seated at one side of the restaurant, but otherwise felt part of the usual throng of pizza aficionados. We were unsure of the format or order of proceedings but, unperturbed, happily tucked into the steady stream of starters and hors d’oeuvres arriving from the kitchen. Plates of merguez sausages, mozzarella, burratta, buffalo and goat’s cheese ricotta, cured salamis, Parma hams – and of course pizza bread. An ever-present sommelier offered samples from selected wines throughout the evening. A chef attired in impeccable whites (and a particularly natty chef’s hat) described in great detail the providence of the food provided. 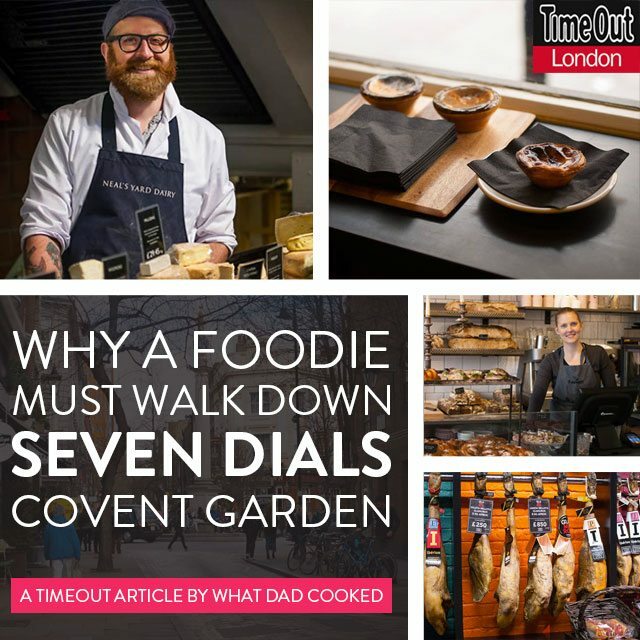 He told stories that might seem inconsistent with high street pizza chains – of chefs on day trips to collect wild garlic for their own wild garlic pesto. and Parma ham and wild garlic pesto. And of course, pizza bread. Alfonso takes us through the steps in his masterclass. It looks so easy and so much fun. In fact it’s not as easy as it looks, but it is every bit as fun. And there is no excuse for not making the perfect pizza. Here’s Pete’s masterpiece. The early story of Franco Manca is endearing. From the humblest independent beginnings in Brixton Market, a unique niche was carved from the most saturated market in the UK food industry. The simple concept of great tasting pizzas served in semi-industrial chic interiors was a winning formula – one that continues to drive the growth of the now expansive chain. 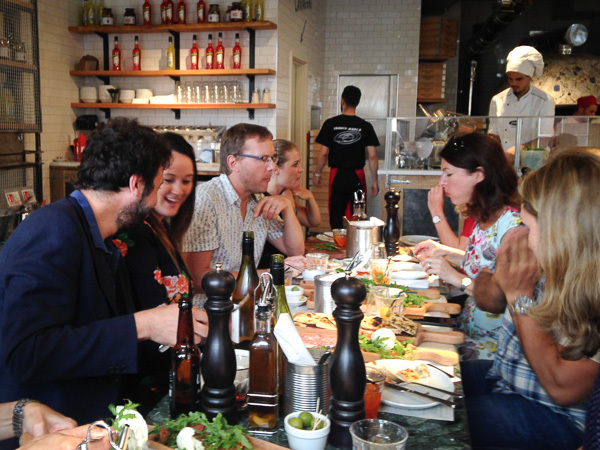 Our chef said with a clear understanding of good business, ‘we have no secrets and we have no competitors…’ We might rue the ubiquity of a once exclusive friend – but Franco Manca, wear their success with a modest and genuine enthusiasm for their product. Tucked in my goody bag was a Franco Manca cookbook specially written for making pizza at home. The book’s clever domestic workarounds promise brilliant homemade pizzas, but if you want the real deal – go to Franco Manca.